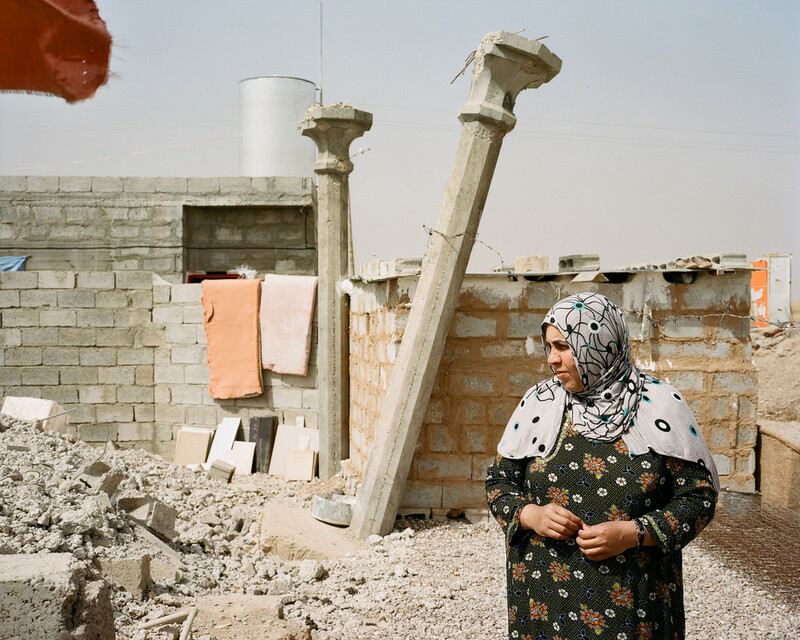 Layla Mohammed* (39) and her family recently returned to their home in Bashir village in Iraq after two years on the move. The family were forced to leave everything behind when ISIS captured their village and fighting broke out. In Iraq, Oxfam is helping families like Layla’s who have returned to their homes to get back on their feet and rebuild their lives through cash for work programmes and business grants. We’ve installed water systems and toilets in camps for those forced to flee and distributed other vital supplies such as blankets and heaters. 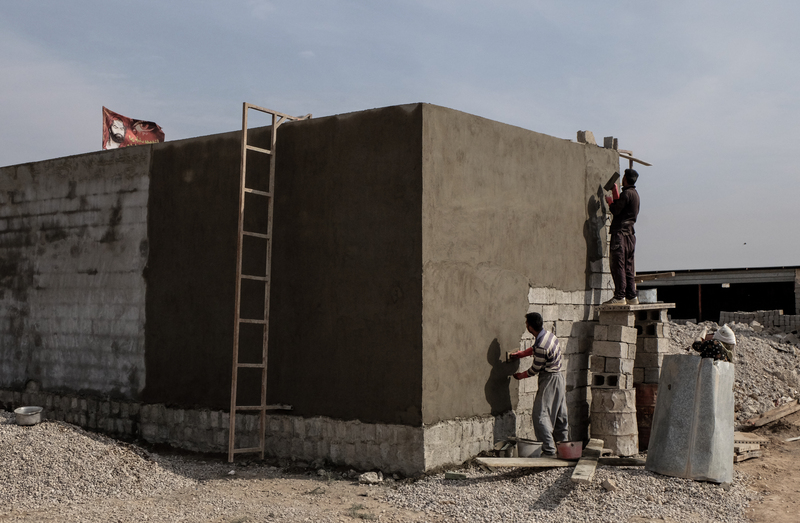 Oxfam has also helped run trauma centres in the eastern part of the besieged city of Mosul and we continue to support health centres with water and sanitation. 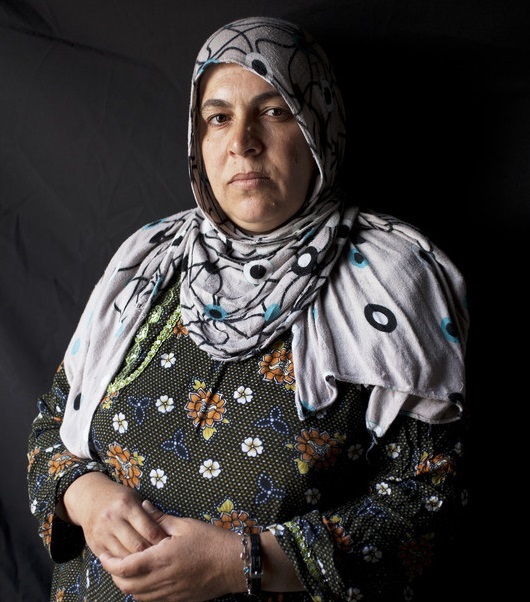 When ISIS came, Layla’s husband was away working. He had told her to stay safe at home. She didn’t know what to do. The battle for Bashir destroyed Layla’s home and over 100 of her friends and neighbours have never been seen again. Layla fled Taza shortly after arriving as ISIS were en route to claim it too. She lived in a mosque for seven months and then an empty school building for two months. 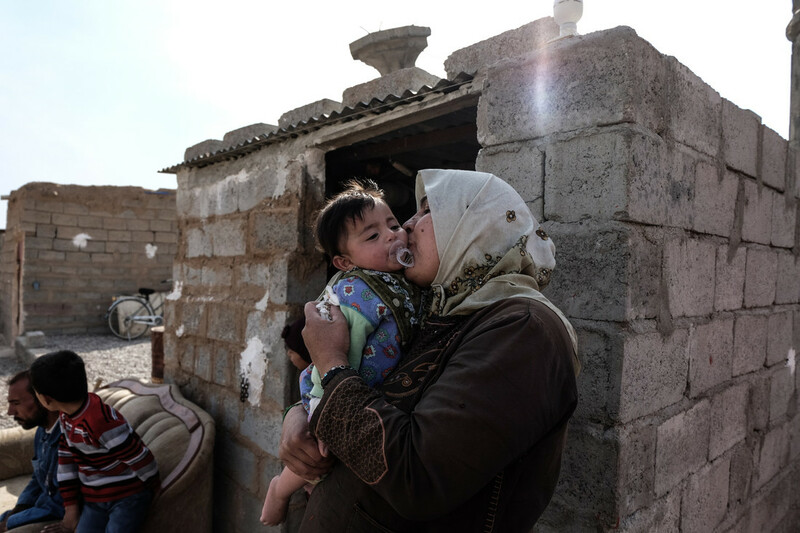 Finally she settled with her family in a cattle shed in another village called Leylan. Layla was worried about her family and their future. She had decided not to send her son to the local school because she believed that they were going to return home any day. As a result, he missed out on a year of his education. Worse still, food was very scarce – and her children were starving. When Bashir was retaken, Layla told her husband that she wanted to go home. But when the family returned, they couldn’t go near the house because it was littered with mines. The army had to clear the site before she could start rebuilding her home – and her life. Last year, Oxfam launched the Right to Refuge campaign to put pressure on governments ahead of the first UN summit on refugees and migration. An incredible 32,000 people from across the island of Ireland joined us by signing our petition calling on the Irish and UK governments to do more to protect refugees and migrants. The summit marked the start of a long process to agree a new global plan for refugees and migrants which will be announced in 2018. And while some progress has been made, it isn’t enough. What we urgently need now is action. We are expanding our Right to Refuge campaign to call on governments to immediately do more to welcome and protect those seeking safety and to reunite families that have been torn apart as they flee from war, persecution or disaster. As part of this, we have developed a virtual reality environment where you can experience what life is like for Layla for yourself throughout this summer at various shopping centres, festivals and events throughout the island of Ireland. To find out more about our locations, please email info@oxfamireland.org. Please take a moment to ask your government to protect the right to refuge. 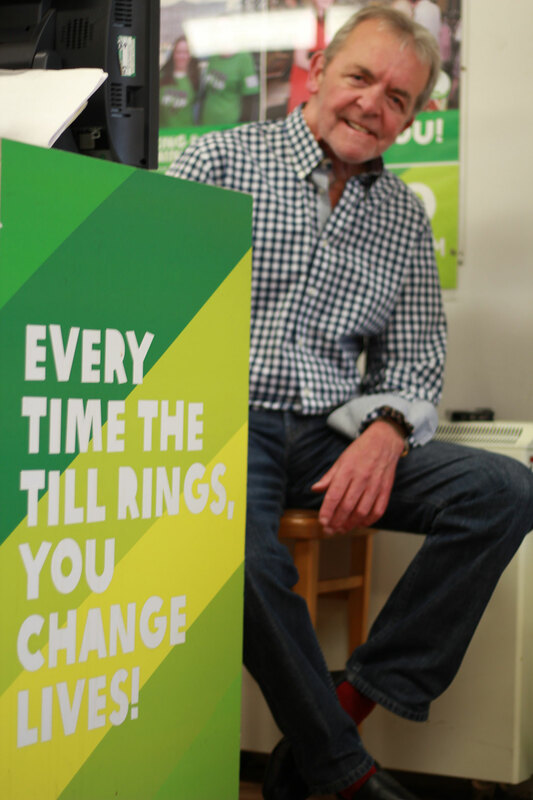 For over 50 years, Oxfam Ireland has had the pleasure of hosting countless generous and giving volunteers who put their heart and soul into contributing in a positive way to their local community, their local Oxfam and further afield. These volunteers give the most precious gift of all - their time, to give back to their community and to help organisations like Oxfam Ireland run smoothly and raise money to run life-saving programmes to help vulnerable people in poverty. The funds raised from our shops help to implement Oxfam initiatives such as providing clean water and sanitation in refugee camps and helping to protect and empower women farmers in Tanzania through our livelihoods programme. Our Oxfam volunteers are at the heart of our organisation and without their time, effort and selfless generosity, our organisation would not run as effectively as it does, providing essential aid to those who need it. Oxfam wants to highlight some of the volunteers who are part of our Oxfam family, striving to make the world a more just and fair place. Here are the faces of some of our volunteers, who have kindly shared their stories. We hope that you can see a little bit of yourself in each and every one of them. Zahid, a student at the IBEC College in Temple Bar comes from Bangladesh and describes himself as a conscientious person. He previously worked with Oxfam, volunteering to help distribute life-saving emergency aid provided by Oxfam in Bangladesh after his country was affected by natural disasters. Having previously worked with Oxfam in his home country, Zahid was motivated to continue working with the organisation when he first came to Dublin, and he has come full circle in terms of seeing how Oxfam provides life-saving aid to those in need. 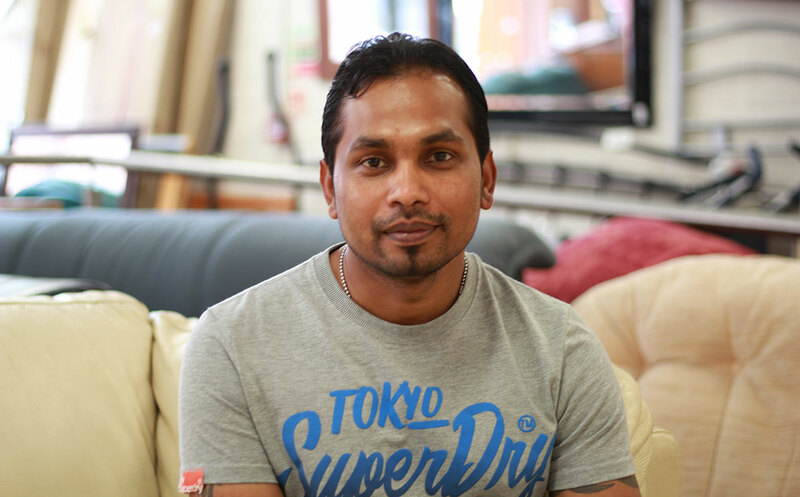 Zahid has now been working in the furniture shop on King’s Inn shop for 5 years from the first day the shop opened. Zahid is not just a volunteer with Oxfam but volunteers with Saint Vincent de Paul too. “I love to have a chat with the local people, and ask about their daily routine,” he says. “It’s nice to see that you know all the Finglas local people and the customers at King’s Inn Street too. They really love me. They know which days I am working and if they don’t see me they keep asking, ‘Where is he, where is he?’” he laughs. 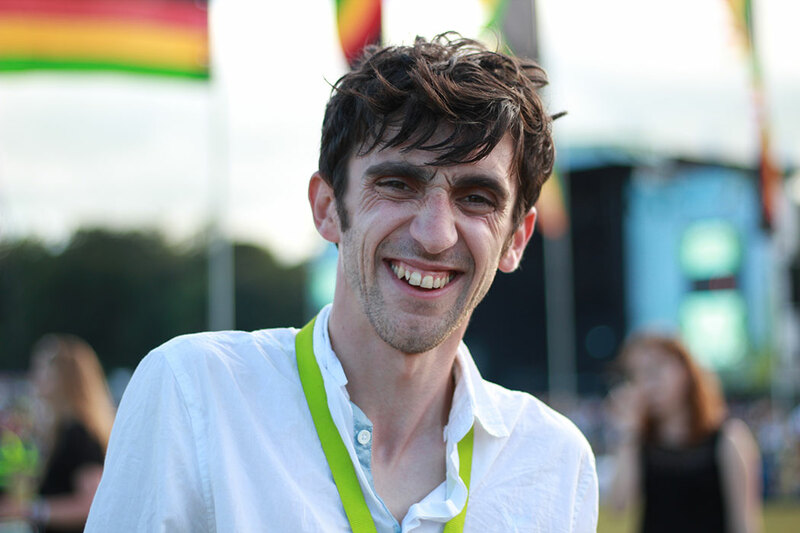 Emmet shared his story about how he became a volunteer campaigner with Oxfam Ireland and the importance of changing negative mind-sets surrounding refugees. When asked if he would be interested in supporting Oxfam’s Right to Refuge campaign, calling on the Irish Government to do more to protect and support refugees, Emmet replied: “Absolutely, yes I would”. “When I was in college I had a friend who was Palestinian who was seeking asylum here in Ireland, and he was seeking asylum for two and a half years and was denied. And then he was ordered to be deported. At that point I was so unbelievably angry because, as Irish people, we have travelled to every single corner of this planet over the last seven hundred years and every single place we went we were accepted and every single place we still go to now, people are proud to say ‘I have Irish blood’. Emmet strongly believes that due to our own personal history of emigration on this island we have a responsibility to help those in need, bringing to mind a famous quote displayed on the Statue of Liberty: “Give me your tired, your poor, your huddled masses”. “You’ll thank a person for signing the petition and they’ll look you in the eye and they’ll say, “No, thank YOU - you are the one doing the work. “Finding work in the charity sector is not easy. But I became interested in working with Oxfam as Oxfam create campaigns, not just to raise money but to actually do something to create real change to benefit those that need it. Oxfam provided me with the chance to gain work experience for a full year and I was interested in getting experience in events management and the campaigns and advocacy side of Oxfam’s work. 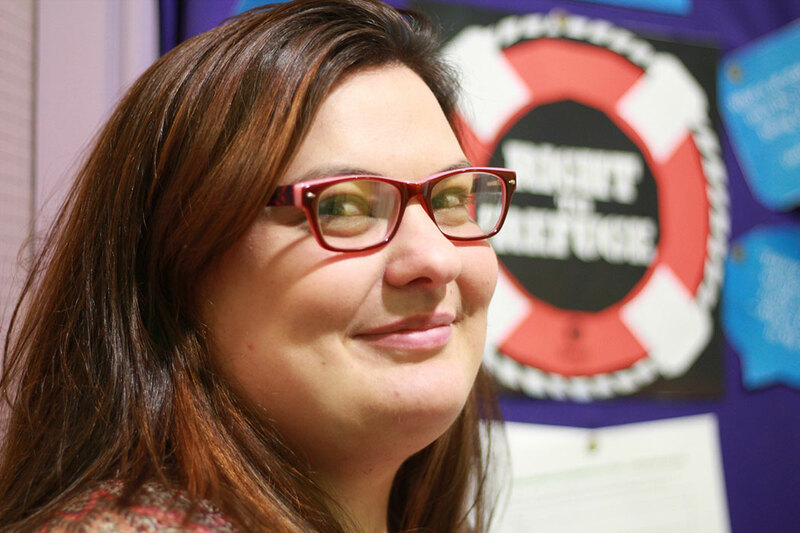 “I believe reintegration for refugees into communities is so important and so I also do work with other organisations who deal with this. Refugees only survive on about £30 a week here, with full families living on that little per week. Chloe and Johnnie both love books and love meeting the interesting customers who visit the shop, as well as immersing themselves in the extensive range of unique books that can be found there. 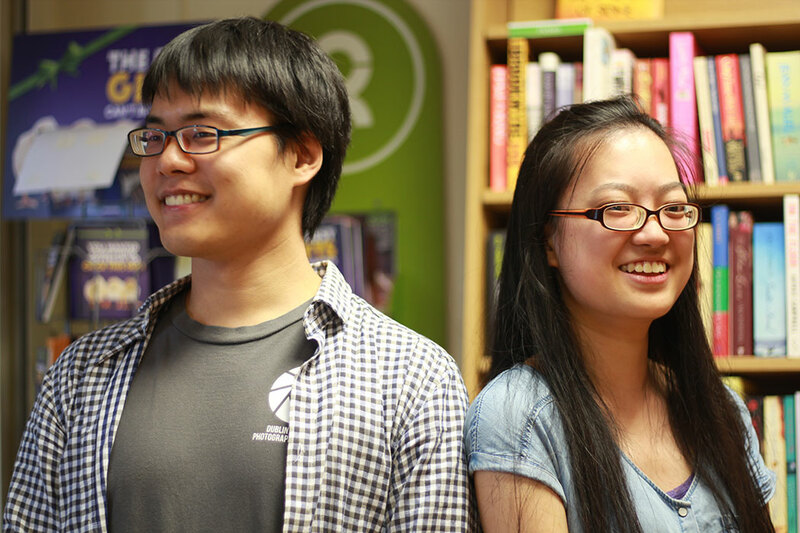 Chloe and Johnnie aren’t the only members of the Chu family who selflessly give their time to volunteer with Oxfam. When Chloe’s older sister moved to England she also volunteered with Oxfam over there too. If there’s one lady who can be given a badge for dedication and long-term support for Oxfam’s work, it’s Kay Rogers. 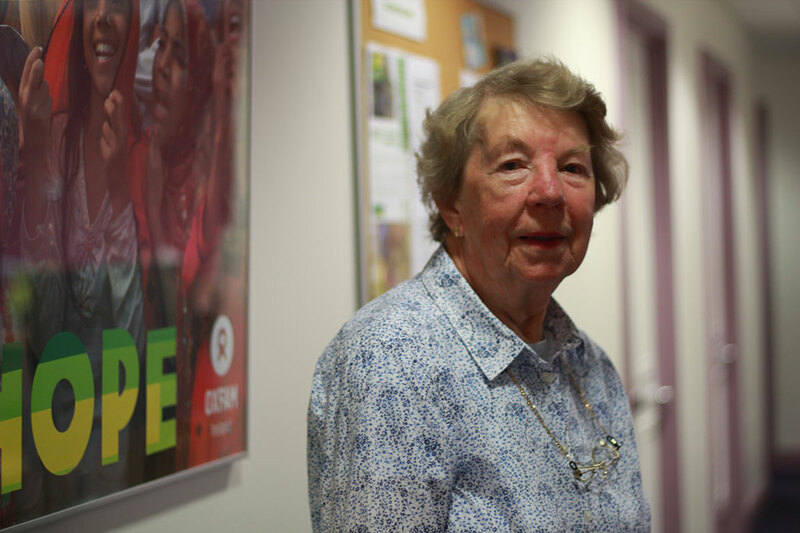 Kay has been an irreplaceable volunteer with Oxfam for almost 50 years and is a prime example of someone who displays real selflessness and commitment to helping those less fortunate. She is also responsible for helping to develop Oxfam’s first presence in Northern Ireland and has served in countless ways: as a volunteer Board member, a shop volunteer, an office intern, a spokesperson and a fundraiser. “I was lucky enough to go on a week-long trip to Tanzania with Oxfam, where we visited many types of projects with small farmers. For example, we visited Kiwokukie, which was a women’s organisation that was founded by women in response to the HIV and AIDS crisis at that time. We also visited a small-scale farmer’s organisation too, where I got to see the positive impact that Oxfam initiatives have had first-hand. And it’s extraordinary, you know, for me, being an old luddite who rages against technology, to see how actually providing small-scale farmers with a mobile phone meant that they could find out the price of produce that day so they knew whether or not it was worth their while hauling their produce on a bicycle into the market or if they were going to be ripped off by traders. So if they knew they were going to get a decent price, it was worth their while going. Kay understand the importance of volunteers and that’s why she has enjoyed the work she has done lately in the office which is about recognition and awards for volunteers, many of whom have been working in Oxfam shops for 20 or more years. “I enjoy meeting people and giving back to society. And after nearly dying, it made me realise to live for the moment and want to give back in some way. Going from working all my life to not working was a big adjustment, especially for my brain to handle. Oxfam has many exciting opportunities for people who would like to make a difference and join a global movement of people who won’t live with poverty. If you would like to volunteer or find out more information on volunteering, click here. Maria Gillan, author of this post, volunteered her time and talent to Oxfam Ireland to collate these stories as part of her university studies. We’re grateful for the energy and enthusiasm she gave to highlighting the names, faces and stories of some of our wonderful volunteers. Friday, May 26th: In recent years, new border walls and fences have materialised across the world. In total, there are now 63 borders where walls or fences separate neighbouring countries. Most of them have been constructed within the European Union. At this year’s Bloom festival (Thursday June 1st to Monday June 5th in Dublin's Phoenix Park), Oxfam Ireland and GOAL are pushing back against the border wall. Our joint Bloom garden will open a window into ‘A World Beyond Walls’ highlighting the need for a more inclusive global society, at a time of growing division across the world. Designed by Niall Maxwell, the Oxfam Ireland and GOAL Garden will be a vibrant, community space at the imagined location of a former border wall. Some of the concrete-like slabs have been removed from the structure and placed in front of the old wall to create the form and function of a garden, or social space, to be enjoyed by all. What were once parts of an oppressive obstruction will become communal seating areas where the weary can rest, where children can play, where families can picnic, and where artists can perform. Through a grit-gravel surface, a diverse planting scheme will soften the harsh concrete angles of the garden, and a light airy canopy of trees will provide shelter and shade. 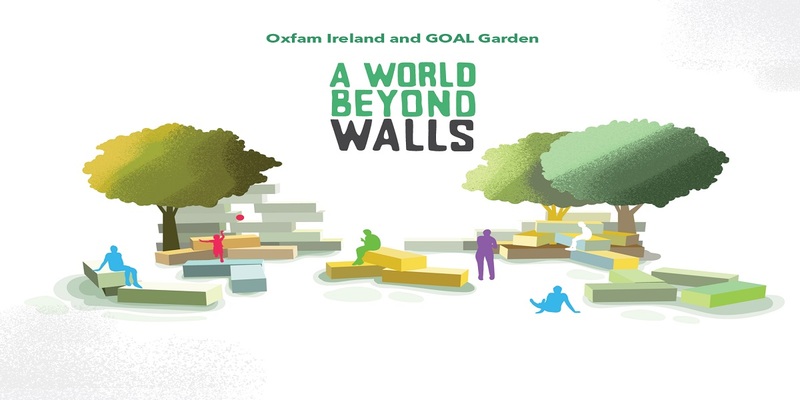 ‘The Oxfam Ireland and GOAL Garden – A World Beyond Walls’ will be a space for all members of society to enjoy in a spirit of harmony and unity. We’re inviting visitors to Bloom to support our Right to Refuge campaign – we’re calling upon the Irish government to remove the barriers that tear families seeking refuge apart and to allow families to come safely to this country. Right now, refugee children over the age of 18 are separated from parents and younger siblings, grandparents are separated from grandchildren and children travelling alone cannot reach extended family settled in Ireland who want to welcome and protect them. If you would like to learn more about this campaign, please talk to the Oxfam Ireland team at the Oxfam and GOAL Garden, or visit the Oxfam Campaigns Tent, which is located in the Conservation Zone. 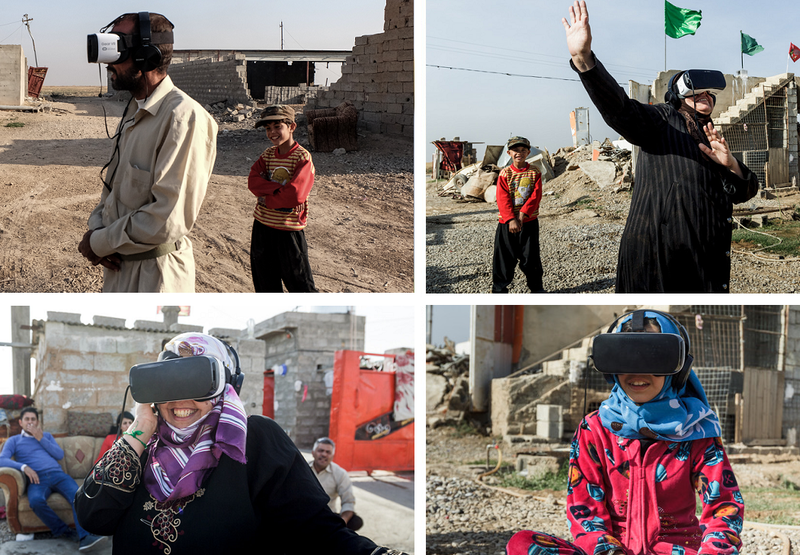 Using virtual reality headsets, visitors to the tent can experience the life of a woman in Iraq forced to flee her home. To vote for the Oxfam and GOAL garden, text GARDEN8 to 51500 (standard SMS rates apply). Vote before 13:00hrs on Monday, 5th June. Votes after this time will not be counted but text votes may be charged. Please follow the voting instructions exactly or your vote may not come through. ONE vote per person per garden only. SMS Provider: Puca, +353 1 499 5939. Votes open to ROI & NI residents only. Hi, nice to meet you. 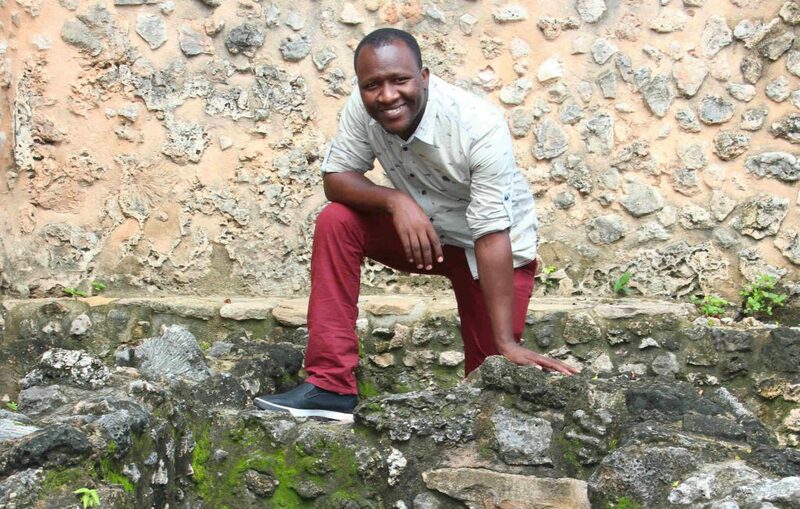 I’m Bill Marwa, a digital media coordinator with Oxfam in Tanzania. Pardon me – I should have started with the introductions. I will be writing about my work with Oxfam and how that is helping change people’s lives. I travel a lot so there’s always going to be something new. I want to show you my beautiful country, the people, our culture, and our foods. Me - nice to meet you! Me and a colleague of mine, Kefar, are heading to Kahama in northwestern Tanzania. 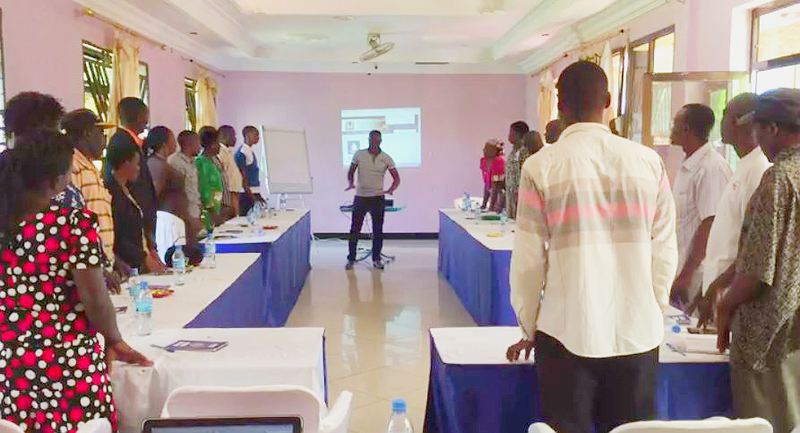 We are going to train 22 activists to use smart phones to interview other residents in their villages about what information is important to them, how they can access it and how local government can be more transparent. After three days of training, they will go back to their wards and interview at least 60 people each. Their responses are automatically sent to us, which makes this a very quick and easy way to gather responses from more than 1,200 people. It’s going to be interesting. We land in Mwanza and spend a night there before driving to Kahama. This is about a five-hour drive. We are chatting in the car and listening to loads of Bongo Flava – Tanzanian music. Kefar will train the activists on an initiative to make local government more transparent called the Open Government Partnerships. I will train them on how to use smart phones and particularly how to collect data using an app called Mobenzi. Kefar asks how many of the activists have used a smart phone before. Only four people out of the 22 participants raise their hands. This hits me, but equally motivates me. I will have to change my strategy to start with basic things like how to scroll through pages, search, etc before we move on to the Mobenzi tool itself. It’s going to be fine, I say to myself. We do a quick Google search for ‘Mbogwe’ district, and the activists are excited with the results. Realising that they can do a lot with search, most of them will be glued to their phones for the next hour doing different searches. I walk out for a cup of coffee. When I get back to the room one of the activists, Gabriel, is playing a speech by one of the prominent members of parliament to the rest of the room. I say to myself, what have I got these people into? After three days, everyone is confident to use the phones and they all have understood the questions. We distribute the smart phones and the activists go back to their villages to begin the data collection. Meet digital media coordinator with Oxfam in Tanzania Bill! Video of Meet digital media coordinator with Oxfam in Tanzania Bill! Let’s be honest – a tropical tax haven island looks a bit out of place in Belfast. 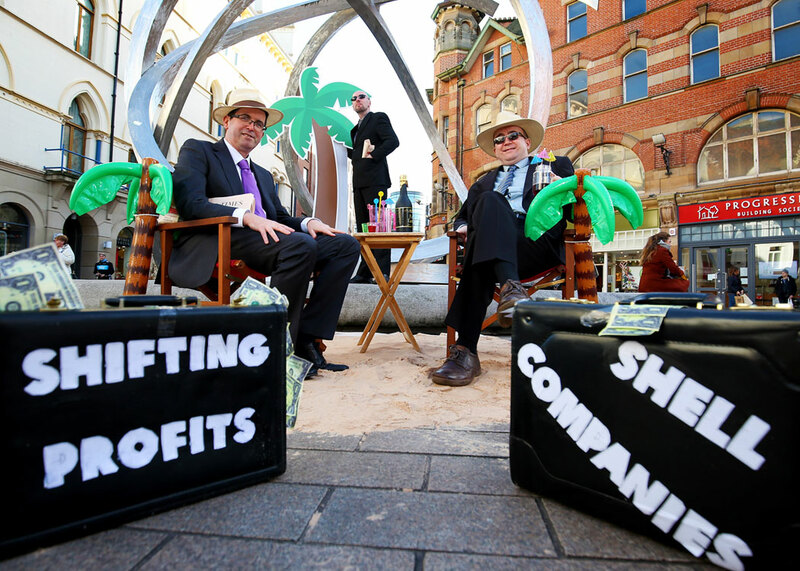 The reason why we brought palm trees and deckchairs to the heart of the city was to highlight new research showing the kind of scenario people want to avoid as a result of any change to Northern Ireland’s corporation tax rate. Help us make tax fair in Northern Ireland and across the UK - tell Prime Minister Theresa May to tackle tax dodging. With Northern Ireland set to take control of corporation tax in 2018, it’s clear from this survey that there is overwhelming public support to ensure any new proposed tax regime here is fair, open and transparent – and that it does not negatively impact on vulnerable people. Any reform of the corporate tax system needs to contain safeguards preventing companies from taking advantage to avoid tax owed elsewhere – otherwise there is a risk that Northern Ireland could be used as a tax haven. What we mean by safeguards includes making multinational companies publish tax information for all countries where they are present. In addition, we want to see the establishment of a public centralised register of beneficial ownership that would allow citizens here and in developing countries to know who is really behind companies and trusts. What’s needed is an economic policy that will bring jobs, prosperity and stability to the province, without being at the expense of essential public services in Northern Ireland or in poor countries. The Stormont Executive has an opportunity to create a best in class tax system that reflects genuine economic activity and works for the people of Northern Ireland, not against them. This should take into consideration the local and global dimensions of tax avoidance and its impact. The impact of tax dodging can seem like an abstract thing but it has a very real human cost. An estimated $100bn (approximately £79bn) is lost to developing countries every year because of tax dodging by multinationals. Every school that is not built, every medicine that is not bought for lack of government funds due to tax dodging affects thousands of men, women and children across the world. Our Make Tax Fair campaign highlights that tax dodging is starving developing countries of the money needed for education, healthcare and tackling poverty.